The process of transforming the ripe grapes into beautiful wines requires the undertaking of a number of steps and the use of a variety of technologies. Different grape varieties produce wines with very different characters, but equally climate, soil and the aspect of the vineyard will influence wine style enormously. Over the summer, the warmth of the sun enables the grapes to mature. The acidity decreases and the sugars increase and the natural flavours of the grape build until the decision is made to harvest; usually between mid August and late October. Once the grapes arrive in the winery, they are separated from their stems. For white wine, the grapes or must are transferred into a press where the juice is extracted. Historically, this was done by treading on the grapes. This juice is then pumped to a tank where it settles and the clear juice is removed to another vessel. 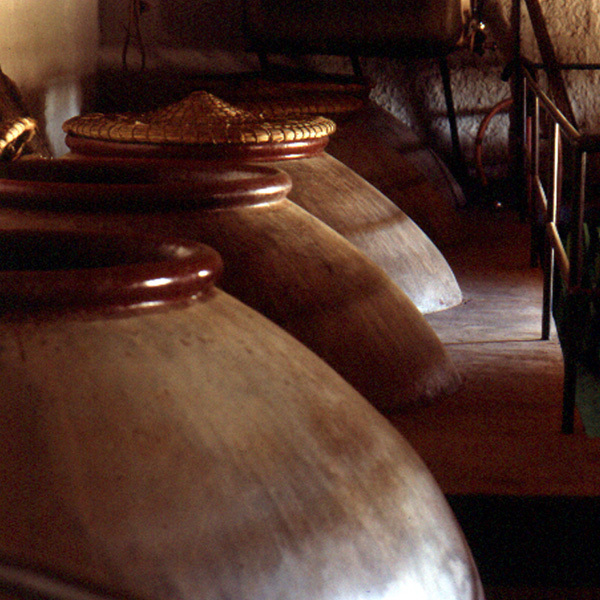 For red wines, the must is transferred straight to tank. It is at this stage where the musts are combined with yeast and are allowed to ferment under temperature controlled conditions. During this process, the natural sugars are converted into alcohol and the liquid is transformed into wine. Thanks to the latest technology at all of these stages, this wine reaches the consumer with a guaranteed level of quality.